Please note: This is a digital product and no shipping information applies. What exactly is a ‘floor plan’? A floor plan is a drawing to scale, showing a view from above, of the relationships between rooms, spaces and other physical features at one level of a house or other structure. Dimensions (measurements) are usually drawn between the walls to specify room sizes and wall lengths. Floor plans usually include details of plumbing fixtures like sinks, or loose items such as furniture and are usually drawn to 1:100 scale. In more technical terms, a floor plan is actually a horizontal cross section at a typical height above the floor surface so that windows and door openings are also visible on the plan. An ‘elevation’ is a measured plane projected from the side of a building, along its height, and a section or ‘cross section’ is where a building is cut along a vertical axis to reveal the interior structure. Why use stock house floor plans? Many prospective property owners are opting to have a privately designed home built instead of buying an existing house. Reasons for this vary, but mostly for the possible cost savings, being sure all your requirements are met, and perhaps most importantly: the creative challenge and sense of self-achievement in designing your own house plan! House design can be overwhelming; having to take into consideration the accommodation list, floor size, shape, style, position, materials, regulations as well as your budget and you will quickly be faced with the choice of hiring a professional architectural designer to develop a house design from scratch or to work with a stock house plan. With stock floor plan templates it is easy to visualize your needs beforehand and the budget can be controlled by making sure the size / parameters does not exceed what you can afford. The floor plans on Concept Plans are all designed by architectural professionals with decades of experience in residential home design and can quickly be customized to fit any of your individual requirements. The final concept sketch can then be taken to a local draughtsman or architectural designer for construction plans to be finalized. This process is a lot less time consuming as the professional will just need to incorporate your particular styling requirements and local building codes into the overall house design. Less expensive - Significant costs savings compared to starting the design process from scratch. Less time consuming - Save a lot of design-related time and associated costs. Less frustration – In getting your ideas accurately conveyed to design professionals. Less surprises – Stay on budget easier and avoid surprises as a result of misunderstandings. Same quality - Huge selection of professional house plan designs to choose from on the Concept Plans website. Are the plan designs suitable for use anywhere in the world? All the plans on conceptplans.com were designed by architects or professional architectural designers for use typically in the southern hemisphere. The plan designs are mostly orientated to face North to allow a suitable amount of sun / light to enter the house in both summer and winter months, but the plans can be used just as well in the northern hemisphere where plan orientation plays a lesser role. What is meant by the term ‘concept plan’? A concept plan, also sometimes referred to as a ‘sketch plan’ is an architecturally sound (correct) 2D floor plan in some instances hinting towards a possible style, roof type or elevation treatment, but without any technical details shown on the plan. The 2D house floor plans on conceptplans.com are all designed by architects or professional architectural designers and are all perfectly workable house designs. All our plans contain basic dimensions, an elementary roof outline indicating the style of roof proposed for a particular plan, door and window positions, sanitary fixtures and a proposed furniture layout. The purpose of our concept plans are not to be fully comprehensive technical documents, but rather an architecturally sound starting point or ‘template’ that might be used ‘as-is’ or altered to create another design. No other technical details or specifications are included. The plans are 2D designs only and does not have any elevations. In short, house plans are beautiful timeless creations whereas architectural styles or house elevation treatments are often short-lived trends and is mostly bound to what is popular within a specific region at a particular point in time. We want Concept Plans to always be relevant and not bound to specific popularist architectural styles which can be very impermanent. The way different people live in, or utilize a house plan vary little and rarely ever change hence our focus is on providing sound, timeless, architectural house floor plans which can be used as a template and various architectural languages can be applied to it afterwards. What units of measure are used? Why are no technical details included in the plans? The house plans provided on conceptplans.com are high-level concept designs only. Technical information is not included because of the huge variation of local codes and systems available to our users worldwide. Qualified architectural consultants, HVAC contractors, plumbers and electricians know the local codes in your area and can easily add this information to the final working drawings. What building codes / regulations are used for the plan designs? The plan templates on Concept Plans are a collaboration of sketch plans from several qualified architectural designers. All plans are designed / drawn to regulations for the specific region in which the respective designer resides. Modifications may be required by your local consultants to meet their adopted codes and regulations. The necessity of such modifications is not evidence of poor plan quality but merely building code differences. Are the plan designs indicative of a certain wall construction being used? What print and page format is used for the PDF files? The print and page format is either ISO A4, ISO A3 or A2 depending on the size of the plan. Some very large plans might span over a page and will have to be joined at the ‘cut line’ after printing. 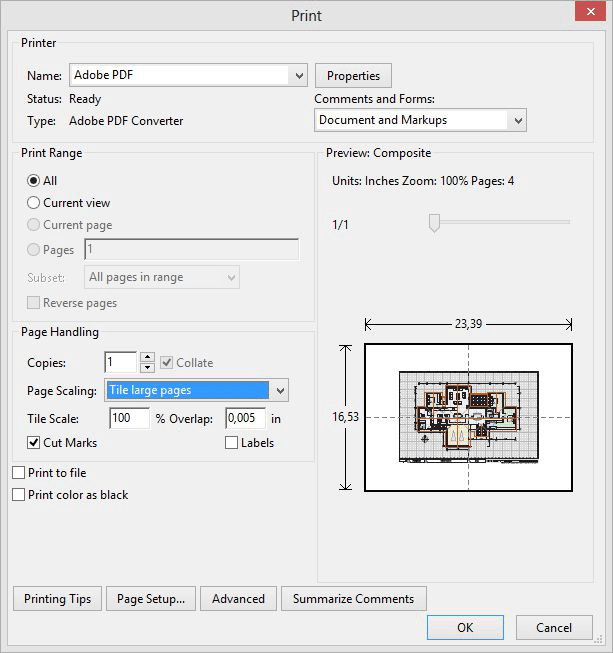 For more information, please see: How to print a A3/A2 PDF over multiple A4 pages to scale? What are the main advantages of purchasing a floor plan from Concept Plans? Advanced plan filter with various attributes to find the perfect house plan easily and efficiently. Wish List to save your favourite plans for viewing at a later stage or sharing with others. Export to other popular graphic file formats. Colour coded room types to easily define different functions of the house plans. Professional architectural design. All our floor plans are designed by professional architectural designers to a high standard. Instantly available downloads. Starting working on your design within minutes! Do I need to register to use the website? No, you do not need to register to use our search area and to browse floor plans. However, you will not be able to save plans to your favourites, get discount coupons or make purchases from our plan store without creating a user account first. What devices can be used to browse the www.conceptplans.com website? We realize that today’s internet users are increasingly using their mobile devices such as tablets or phones to visit websites therefore, our website has been professionally developed, using the latest technologies, to be responsive to all devices and screen resolutions. Conceptplans.com changes its appearance and layout based on the size of the screen the website is displayed on to always ensure a user friendly browsing experience. We offer fast & efficient email support always within 2-6 hours but usually in much less time depending on your time zone. We constantly strive to provide our members with the best possible user experience. If you have any difficulty at all downloading or using our floor plan templates, simply e-mail us and we'll gladly help you! Unfortunately we do not offer telephonic support. Can I try / view sample of a PDF or DWG floor plan templates before I make a purchase? We accept American Express, MasterCard, Discover, Visa, Diners Club, and JCB credit cards through our 3rd party payment processor. You will have to complete a simple two-step process in which your payment credit card and billing address are set up to purchase one or more of our e-books. All the prices on the Conceptplans.com website are shown in US Dollars, but can be set to your local currency on the payment page. What are my rights with regards to the use of the house plan templates on this website? Please view the terms and conditions page. May I use the house design images on this site without purchasing it? Unfortunately not, the house designs on Concept Plans are protected by international intellectual property laws and may only be used by individuals who have purchased a plan template. Please view the licencing terms page. A problem occurred with the download links and a customer were not able to download the file. When a customer purchased the wrong product and would like to replace it for another plan of similar value. Concept Plans will allow for a full refund of any purchase from our store within fourteen (14) days from the date of purchase if our system indicates that the download link(s) have not been used. To claim a refund, please contact us stating your original order number (The 6 digit code) within the email and we will process your request within 24 hours. Kindly be aware that our house plan templates are in DWG or PDF format without any digital rights management (DRM) applied. This means that once a file is downloaded it will never expire and you will have full rights to print, copy, modify or use the content in any way. With this in mind, please understand that due to the digital, non-returnable nature of our products, we regret but refunds cannot be given for files already downloaded / used. We do however offer a free sample files available for download to view the quality, format and compatibility with your software to try out before you make any purchases. Can I save my favourite house plans to review later? Yes, Concept Plans allows you to browse our plans, save them to your wish list and return later to show them to your friends and family. To utilize this feature, simply login and while browsing the plans just click on the ‘Star’ button to add the plan to your favourites. Do I need special software or hardware to view the house floor plan templates on Concept Plans? The plan templates on our website are currently provided in two formats: PDF (Adobe Acrobat) or DWG (AutoCAD). To open or manipulate the DWG (AutoCAD) files you will require AutoCAD software or other CAD / vector software capable of importing DWG files. AutoCAD’s DWG is a very popular vector format and most CAD and graphic software packages can open/import DWG format files. Can I print and copy my purchased floor plan templates? Most definitely! All our PDF and DWG floor plan templates have no restrictions with full printing & copying enabled. The DWG format templates can be manipulated in any way to a user’s requirements. How are the PDF or DWG floor plans delivered? Once your secure payment has been authorized (which typically takes a few seconds), you'll receive an email with the download link(s). To begin downloading, simply click on the download link. Once the download has finished, simply go to the folder where you saved it, and double-click the icon to open the file. How long does it take to download a floor plan template? The file sizes vary from about 100kb to 500kb. Typically, the download should take less than 1 minute to complete. Does the PDF or CAD files expire sometime after it was downloaded? No, once a template file is downloaded onto your PC or device, it never expires and remains yours to keep forever! After purchase, you are provided with a download link via e-mail used to download the file(s) to your local hard drive and you may, print and copy to different devices as you please. Remember, the floor plans are intended solely for the use of the individual or entity that has purchased it. Please note that any disclosure, copying, distribution, publishing, selling and reproduction to other parties are strictly prohibited and are unlawful. What if I lose my purchased PDF/DWG floor plan template file, do I get a replacement? No, unfortunately we do not offer replacements for lost files after 30 days. It is your own responsibility to keep (Save) it in a safe place on your hard drive. DWG (drawing) is an AutoCAD (Computer Aided Design) file format used for storing 2D or 3D vector design data and metadata. It is one of the most commonly used CAD data formats, which is also supported by IntelliCAD, PowerCAD, DraftSight (Free), Caddie, SmartDraw, TurboCAD and several other CAD & graphic software applications. The DWG format has been updated several times. Please note that the newer DWG versions can read files created in older versions, but the older versions cannot read newer ones. What are the advantages of purchasing a DWG (AutoCAD) floor plan template? Intelligent vector format that can be easily manipulated by CAD users. Most popular vector format for use in almost any other CAD software or import into other drawing software such as Sketchup, Smartdraw, CorelDRAW and several others. Can easily be exported to any other popular graphic file formats. What DWG format is used for the floor plans on Conceptplans.com? All of the files on Concept Plans are saved in AutoCAD 2007 DWG format. Earlier versions of AutoCAD will not be able to open most of the files as some of the new features in AutoCAD 2007 or later will not be backward compatible with the older versions. What if I have an earlier version of AutoCAD? How do I ‘hard convert’ a drawing from Metric to Imperial units? The unit type typically used in U.S.A. is known as "Imperial" units (feet & inches). Other countries use the "SI" or Metric system for drawing units. The drawings on our website is drawn in metric units. To scale the objects in the drawing from mm to inch or vice versa, set the drawing to your desired units and simply select everything in the drawing and use the scale command to resize everything to your desired measurement unit. Please use our Unit Converter to obtain the correct conversion factors. Portable Document Format (PDF) is a popular and widely used file format used to present documents in a manner independent of application software, hardware, and operating systems. Each PDF file encapsulates a complete description of a fixed-layout flat document, including the text, fonts, graphics, vectors, layers and other information needed to display it. What are the advantages of purchasing a PDF floor plan template? The plans are drawn to 1:100 scale for easy printing and designing on it with a normal ruler. Can easily be exported to other popular file formats. Allows for easy sharing as PDF’s can be retrieved, viewed and printed with free software accessible by anyone and viewed on almost any electronic device. How to print a PDF A2/A3 over multiple A4 pages to scale (Actual size)? When you have the file open in Adobe Acrobat; Select File > Print to open the ‘Print’ dialogue window. Go to 'Page Scaling' and select 'Tile Large Pages'. Set the ‘Tile scale’ to 100% if not already at that setting. It might be a good idea to check the ‘Cut marks’ box to aid in the joining of the tiled pages. Click on ‘OK’ and that’s it! How do I show or hide certain layers of the floor plan?